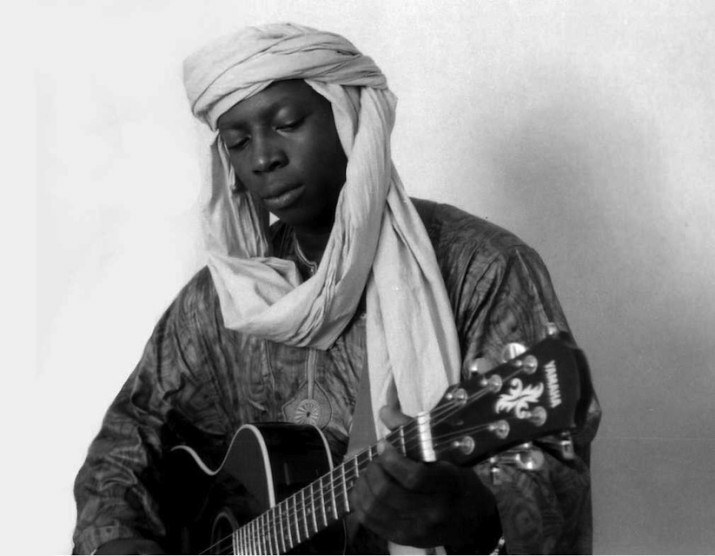 We premiered the 'Maiga (Afriquoi Remix)' from Vieux Farka Toure + U.S. fall 2013 tour dates. UPDATE: Enter to win a pair of tix to catch Vieux Farka Touré in NYC 10/29 by tweeting #VieuxNYC at us (@okayafrica)! We're giving away one pair of tix to catch Vieux Farka Touré on Tuesday, October 29th in NYC as a part of the Live@365 series at Elebash Recital Hall (The Graduate Center/CUNY 365 Fifth Ave., at 34th St., NY). Joining Vieux will be Mamadou Sidibé on bass and backing vocals and Tim Keiper on percussion. There's a pre-show Q&A with Vieux scheduled for 5:30pm. Doors are at 5; show is at 7. We'll notify a winner on Monday, Oct. 28th. Follow @LiveSoundsNYC to stay caught up on the show. Entrancing guitarist Vieux Farka Touré doesn't need much assistance getting a crowd on his side. After all, his live shows alternate between moments so hypnotic a city could fall asleep and flash points where things get turned up a few notches. On the "Nouhoume Maiga (Afriquoi Remix)" Mali's prized son receives a bit of synthetic help in what turns out to be a natural pairing. The EDM touch courtesy of UK diasporic-sounds outfit Afriquoi turns the 'under the stars' standout off Mon Pays into a not-so-outdoors club hit. Vieux is playing a string of shows in the U.S. this month, one of which includes the 10/29 NYC date that we're giving away tickets for. In the meantime check out his tour dates below and turn up this huge "Nouhoume Maiga" remix.